I finally thought of a name for my world! 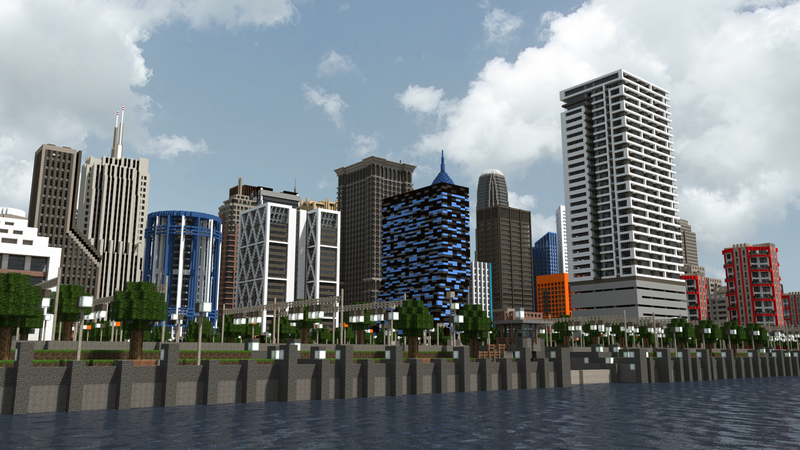 Paragon city is well on it way to being a fully developed city. You should all be proud of me. Instead of just having big empty shells, im actually talking the time to do interiors in a majority of my buildings. I'm still looking for people to build with. I'm sadly running out of building idea, and some interior ideas too! Also feedback would be nice! tell me what you guys think! This is actually pretty awesome! I'm used to people nonchalantly throwing around the word "epic" a lot in this sub-forum, but this world actually fits that label. By the way, that intro is freakin' amazing. Nice, got your message btw, and i will let you know. And we played together before, haha. your old world i remember. Also, the new WTC building looks great. I havent had much time with my new city, but thats a project i was hoping to start . AH YES! i remember you! We used to be friends, but I think you got caught in the sweep when I cleared a majority of my friends list off. Really great to see projects like this on the xbox. Epic build my friend, keep up the amazing work! Wow, very impressed. Video quality and presentation was superb. Look forward to more videos. Really really good. That must've taken ages. I love your city!! It reminds me of Neutropolis or Imperial City in City of Heroes. Atually it did not take very long at all, But I am starting to get side tracked by the other two maps im building. They are also pretty kewl! A truly amazing build! A bit too modern for my taste, but one cannot deny the artistry and creativity put into it. Well done sir, well done! Wow that is amazing, i love the name for you city too . Thanks! haha I tried thinking of a name without the word "CITY" in the title, but I couldn't! Thanks! There will be more videos! STAY TUNED FOR MORE! Good work. The scale of it is awesome. However, I recommend making your buildings more diverse in the future. Needless to say, It's still a nice city. Thanks, but I dont understand. No two buildings are alike or the same height? Every building has its own style and color scheme. What do you mean by, "be more diverse"?